Shot from the top of St. Agnes Head, on the north coast of Cornwall near St. Agnes, UK, looking out over the Atlantic – you can’t tell from the photograph, but it was very windy and cold – my daughter is sheltering out of the windy at the bottom of the triangulation point at my feet. I do feel it was worth it braving the weather for the shot…and such a relief on the walk back to the car once out of the biting wind! 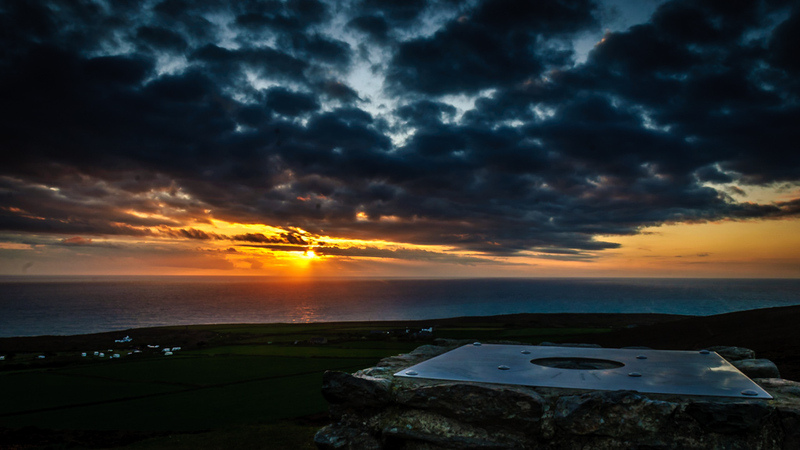 While this was shot back in 2012, I processed this recently in Lightroom 5 – mainly lifting the shadows around the trig point and the middle ground to the sea – also adding a graduated filter for the sky.